GIN may once have been as synonymous with Georgian London as it was with depressed mothers and ‘mothers’ ruin’. But now experts claim that Scotland rules the world of gin, which has thrown off it’s stiff upper-lip English image and embraced a new cool, infused with Scottish botanicals and Celtic attitude. Last week a report from accountancy group UHY Hacker Young showed the number of distilleries in the UK has risen by a fifth in the last year to 131, double to number that existed in 2012, largely due to the popularity of artisan gin. With Scotland accounting for 70 per cent of the UK’s total production, Scottish experts claim the growth is being largely driven by the growth in craft distilleries, 35 of which have opened in Scotland in less than three years, offering over 100 variations. Many are producing gin while they wait for whisky to ferment and mature. According to business publisher Euromonitor in 2010 domestic gin sales were about half those of blended Scotch whisky, at £774 million a year, but while it is predicted that Scotch sales will stay flat gin is expected to reach over £1.5bn by 2020. 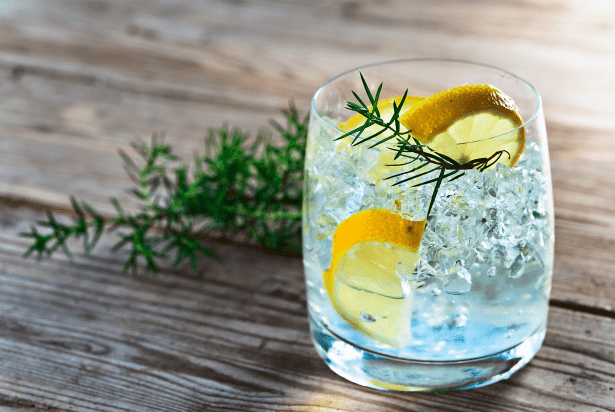 Dr Annie Hill of Heriot Watt University’s International Centre for Brewing and Distilling, said: “We’ve seen a massive rise in both the UK market and export market for gin with Scotland accounting for 70 per cent of total production. This is an unprecedented increase in spirits production – I’m not aware of any other category, including Scotch whisky, experiencing such a massive increase in growth over such a short period. Scottish gins riding high include Hendricks, which was credited for setting the Scottish standard back in 1999, with a new crop of brands such as Pickerings, Airbikie, Rock Rose, Strathearn and Persie Distillery all using infusions and suggesting pairings with speciality tonics, or as the base of cocktails. She said the appeal of Pickerings, which tomorrow re-launches its Christmas gin-filled Christmas tree baubles – so popular last year that the first batch sold out in 82 seconds – was its hand-crafted elements. The gin is based on a secret 1947 recipe from Bombay (now Mumbai) given to founder Marcus Pickering by a friend of his late father’s and is flavoured with cardamom, coriander, clove, anise and cinnamon as well as the more familiar juniper and citrus. James Sutherland, gin expert and owner of 56 North in Edinburgh, one of a growing number of Scottish speciality gin joints, said people were no longer content with a ice and a slice and were now looking for unique flavours and high quality. “Consumers are loving the fact they can buy interesting liquids from a local producer who often have amazing stories behind why they make gin,” he said. With debate raging about what defines a truly Scottish gin – “is it ingredients, where it’s finally distilled, name on the bottle, who makes it?” – he is drawing up guidelines with the Scottish Gin Society. But he claims the future is bright. “I’d love to see Scottish gin become a global must stock for bars where they feel they need to have great Scottish gin on the bar in the same way Scotch malt whisky does,” he added. Dunnet Bay Distillers Rock Rose: just one of a staggering array of high-quality Scottish gins, Rock Rose is possibly the world’s most northerly one. Made in Caithness, it’s infused with locally-harvested Rhodiola Rosea (a Chinese herb), rowan berries, sea buckthorn, verbena, coriander seed, cardamom and juniper creating a refreshing twist on the classic. Ogilvy Farm Scottish Potato Vodka: When the supermarkets rejected its misshapen potatoes Ogilvy farm decided it wouldn’t let its fine Maris Pipers go to waste. Instead, husband and wife team Graham and Caroline Jarron learned to distil vodka and have produced an award-winning, field-to-bottle blend. It is creamier than grain-based vodkas, smooth and sweet and a great choice for the gluten-intolerant. Dark Matter Spiced Rum: Awarded the Rum Masters Gold medal in both 2016 and 2017 makers Dark Matter Distillers, which opened in 2015, describe this as “the taste equivalent of warping into a liquid black hole but without every atom in your body being crushed to an infinitely small point”. Sounds like quite a drink. UWA Tequila: Scotland’s first tequila, launched in August, takes an agave spirit distilled in the town of Tequila in Mexico as it’s starting point before importing it and finishing it, either in steel vats or aged in whisky or sherry oak casks. It’s marketed as a “cultural partnership” blending traditional Mexican tequila craftsmanship with a cheeky Scottish twist.